REFLEXOLOGY PACKAGES: w/free: hot foot jacuzzi, foot scrub, adjustable electric back massage, and sea salt based foot soak. 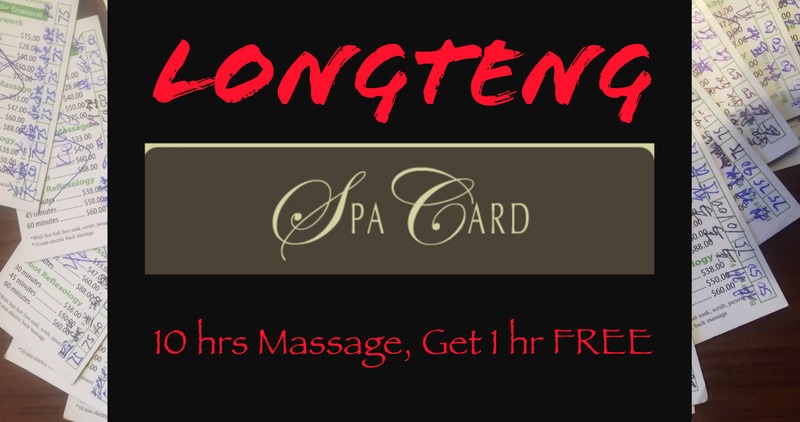 PATRONAGE REWARDS: hundreds of free massages every year at LongTeng. Every 10 hrs. get 1 hr free. PURE ORGANIC, non-petroleum based skin care and aroma oils for pleasant and healthy massage.